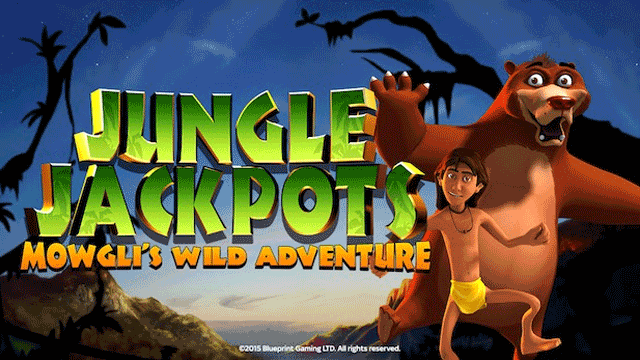 Jungle Jackpots slot invites you to join Mowgli and his wacky crowd on a daring escapade, swinging from vine to vine, while hunting for some hefty wins. 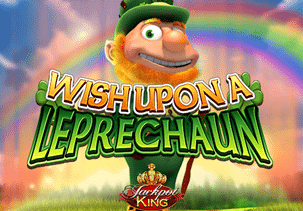 Set out on an unforgettable journey, and try your luck on the 5-reel, 20-pay line release, powered by Blueprint Gaming, taking advantage of its abundant and highly lucrative Bonus rounds, including Bagheera Free Spins, Baloo’s Colossal Spins, Kaa Locking Wilds, Expanding Wilds, and many more. 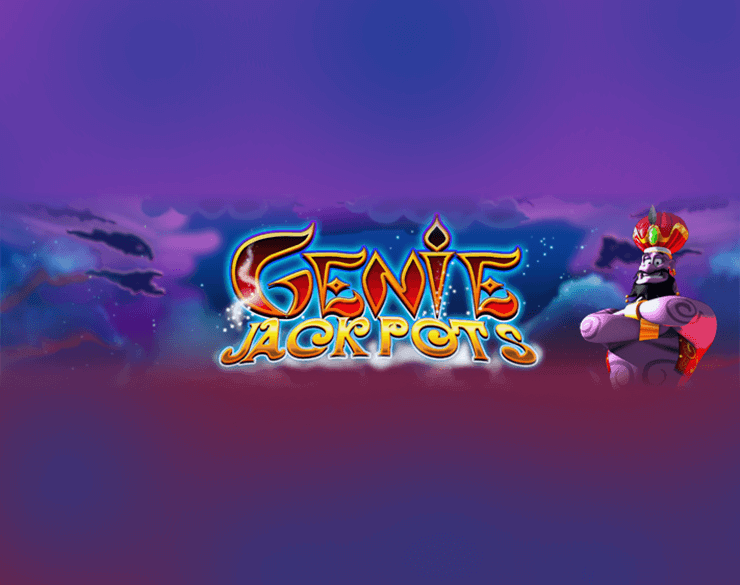 The exciting Jungle Jackpots slot game draws inspiration from the Rudyard Kipling’s Jungle Book adventure story, so the avid readers and fans of the epic masterpiece are guaranteed to be in for a treat. To try to lay your hands on the massive treasure, stake anywhere between $0.20 and $500, and enjoy the thrilling ride through the lush rainforest! 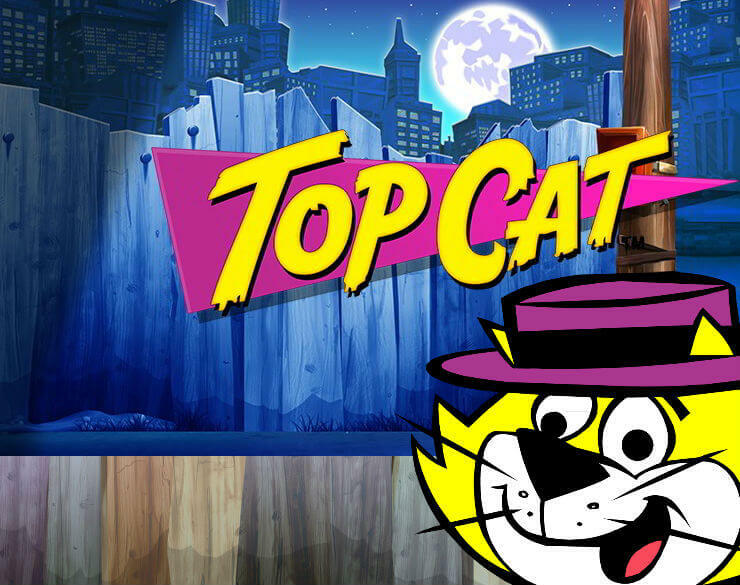 Jungle Jackpots slot features cartoon-style graphics that can hardly contend with some recent, more advanced titles. Nevertheless, the visuals are pleasing enough to the eye and complete the adventurous theme appropriately. The reels are set against the backdrop of the Jungle Books itself, with mostly theme-related symbols, which add to a whimsical air of the whole game. On the grid, you will come across the game’s logo, a rich bowl of fruit, burning torch, and native huts. A giant footprint acts as Wild and substitutes for all other icons, apart from Baloo Bonus symbols. Wild is also the most generous one on the reels, awarding 500 coins, for five of them on a single line. The playing card icons – A, J, Q, K, and 10 make up the lower value symbols on the grid. There are 20 win lines you can benefit from, while your bet can vary from $0.01, all the way up to $25 per line, so the highest wager is capped at a ceiling of $500 per spin, which will surely cater to the needs of high-rolling punters. If you don’t feel like spinning the reels manually, just click the Autoplay option, sit back and relax for up to 100 automatic spins. Mowgli’s Wild Adventure is a randomly triggered feature that is signified each time a page flickers on the reels during the base game, to reveal one of four characters, each of them unlocking a mini-feature of their own. Here you can reap the benefits from Kaa Locking Wilds, Mowgli Wilds, Hathi Expanding Wilds with up to four wild reels, and Monkey Mischief enhanced with stacked symbols. Reveal a Baloo Scatter symbol on the first and third reel, as well as the Baloo’s Cash Bonus on the fifth reel and unlock one of four features. 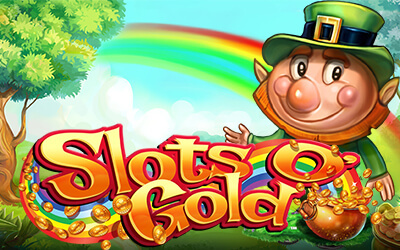 Cash Bonus grants an instant cash prize of up to 500x your stake, while Cash Trail will require you to advance as far as you can across a path by collecting green apples. Try to keep away from the red apple as it will end the round. Should you succeed in making it to the end of the trail, you will grab the amazing 1,000 the bet. Bagheera Free Spins will award five free spins with Bagheera on the third reel, acting as Wild. 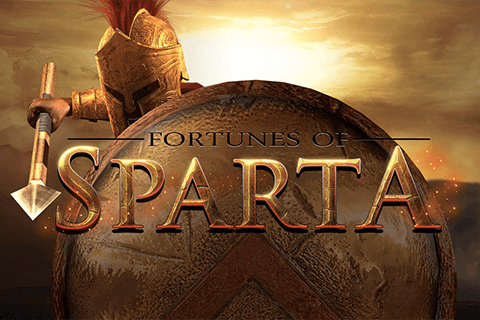 Each winning combination will grant free spins with these icons frozen in their positions. 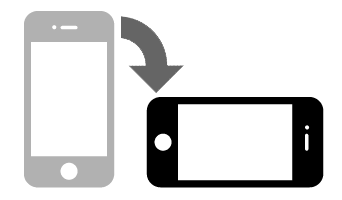 Moreover, additional matching symbols will be locked as well, and the process will continue until there are no more winning combos to be formed. Last but not least, Baloo’s Colossal Spins will award free spins with Baloo assuming the role of a huge Wild icon, occupying the second, third, and fourth reel. What makes Jungle Jackpots Slot so special? Blueprint Gaming has created a vivid slot that gives us the chance to experience the jungle but without all the bugs and creepy crawlies. Indeed, the animals in this jungle are all cute and friendly and do their best to reward players with wins if their luck is in. 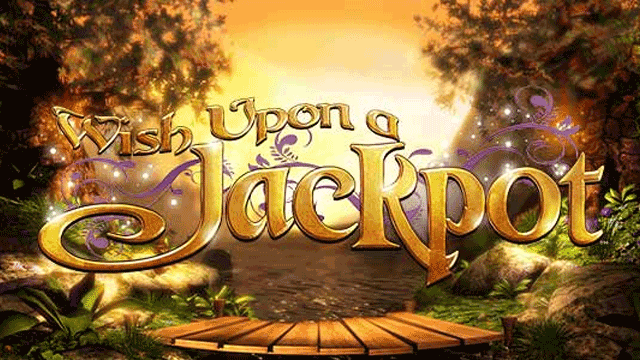 Jungle Jackpot slot is based on the classic story the Jungle Book which was recently re-released as a big screen movie. 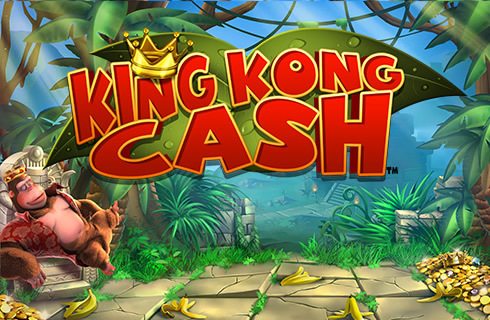 Fans of this film will be in jungle heaven playing this slot as many of the characters can be found here. If a player is lucky enough for the page to actually turn then one of the different characters is revealed which triggers their own specific bonus. On top of this bonus, there are four other character related bonuses which are actually pretty complex! It’s probably best to brush up on the rules to get a solid understanding of these beauties. After all of that, we felt a bit spoilt playing this ace slot! Jungle Jackpots slot came out a few years before the recent movie so it stands perfectly well on its own merits. 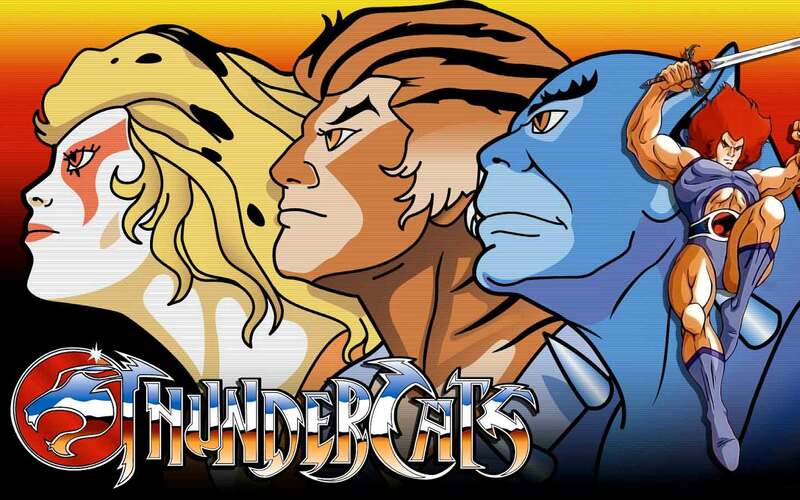 The base game is fun and its cheerful graphics and sounds are set in a wonderful cartoon world in the jungle. The top prize on Jungle Jackpot is not the biggest we have seen but you will have immense pleasure tracking it down.